Asset Protection Manager Karen Korns places Spencer Beal’s CMNH Champion medal over his head at a special ceremony at the Massillon Walmart location. Nine-year-old Spencer Beal, from Dover, has been selected as the Children’s Miracle Network Hospital’s (CMNH) Champion for Akron Children’s Hospital. The CMNH Champions program began in 1996 to represent the 10 million children treated at member CMN Hospitals annually. In the past, there has been one Champion per state, but this year the program was extended to include every member hospital. As Akron Children’s Champion, Spencer will be featured in Speedway’s campaign materials throughout the region and will attend Speedway’s annual golf tournament, the Miracle Tournament, to represent the hospital. He will also attend CMN campaign kickoffs throughout the year, as well as Dance Marathon fundraising events at local colleges this spring to share his story. “We’re so excited for the opportunity to select our own hospital Champion this year and as soon as we heard we’d have that chance, we knew we wanted to ask Spencer to represent Akron Children’s,” said Nicci Avalon, CMN Hospitals program manager at Akron Children’s. Diagnosed with achondroplasia, a form of dwarfism, Spencer has been receiving care at Akron Children’s since he was 5-months-old. His pediatrician had concerns about his development and referred him to the hospital where, upon his family’s arrival, Spencer stopped breathing in the car. Spencer suffered from central apnea, a compression around the cervical spine that cuts off oxygen and blood flow to his brain, which is a complication of his condition. Spencer underwent life-saving neurosurgery to correct the issue, which didn’t cause any long-term effects. He’s since had a dozen surgeries including multiple eye and ear surgeries, as well as leg straightening. Spencer will represent Akron Children’s at various CMNH campaigns and events in the Akron and Mahoning Valley areas. 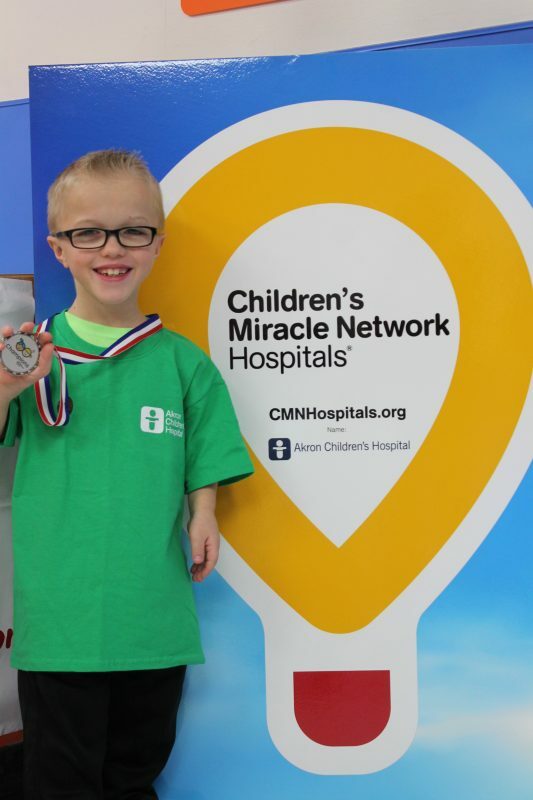 Spencer was recognized as the hospital’s Champion at a medal ceremony on February 27 at the Massillon Walmart. Asset Protection Manager Karen Korns presented him with his Champion medal in front of store associates and his family. “We raise money each year for Akron Children’s Hospital, but it’s more than that. We’re raising money for kids like Spencer who rely on the hospital’s care,” Korns told the group. 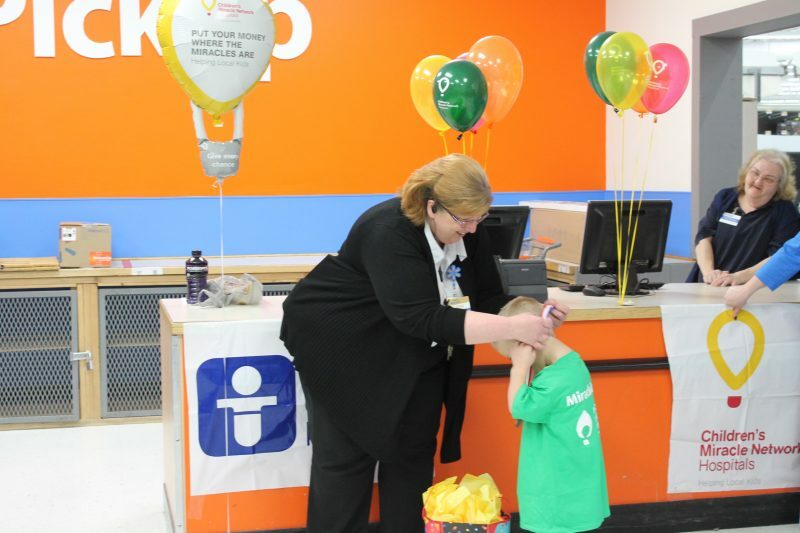 Walmart is a long-standing CMNH partner and last year’s local register campaign raised more than $360,000 for Akron Children’s, with the Massillon location raising more than $23,000. The area stores will host a 2018 campaign for Akron Children’s this fall.